The Fitzpatrick scale (also Fitzpatrick skin typing test, or Fitzpatrick phototyping scale) is a numerical classification schema for human skin color. It was developed in 1975 by Thomas B. Fitzpatrick, a Harvard dermatologist, as a way to classify the typical response of different types of skin to ultraviolet (UV) light. Later, it was updated to also contain a wider range of skin types. Use a sunscreen with an SPF of 30 or greater. Limit your sun exposure and seek shade whenever you’re out in the sun. Wear a hat with a wide brim to protect your head and face. Wear protective clothing with a UPF rating of 30 or higher if you plan to be in direct sunlight for extended periods. Check your skin from head to toe each month. Have an annual skin checkup with a doctor. Is New York's Cold Weather During Holidays Bad for Your Skin? With temperatures plummeting throughout New York City, I continue to be bombarded with questions surrounding what kind of impact this harsh weather has on the skin. Surprisingly, many ask if colder temperatures have medicinal or anti-aging benefits - but to date, there are no known anti-aging benefits resulting from very cold temperatures. In fact, low temperatures can make skin dry, raw and irritated. Exposing your skin to cold temperatures (such as winter weather and wind) can promote and contribute to aging. So, how should you protect your skin during the winter months? I've always recommended patients use a thicker, richer moisturizer to create a barrier from the elements. I also suggest that patients use moisturizers indoors during the winter months because heated rooms can cause skin to become dry and dehydrated. Using a humidifier is also a good idea. With that said, it's important to avoid both extremely hot and extremely cold temperatures due to the negative impact on skin. But the cold can also be very healing in specific settings. If you are fighting puffiness under or around your eyes, applying a cool compress has soothing effects and can reduce inflammation. Cool compresses may also reduce swelling associated with redness in the eye area. I also recommend the application of cold compresses for the immediate treatment of a thermal or chemical burn. I recommend putting the affected area in cold water (but not ice water) for up to 30 minutes immediately after the burn. This type of cold treatment has been shown to reduce the total area of the burn as well as its depth. 1. SPF is your best friend. One of the most frequent questions we get is whether you can skimp on SPF since it’s winter, or since you’ll be in the office all day. Here’s a revealing quote from Skincancer.org: “While ultraviolet B (UVB) rays, the main cause of sunburn, are the strongest in the summer, ultraviolet A (UVA) rays remain constant throughout the year. Dermatologists often say that 90% of premature skin aging is due to UVA. Using an SPF at the last step of skincare, year round is essentially the best thing you can do for your skin. And since SPF can degrade on the skin when exposed to UV, finding a moment to reapply via a SPF Compact? Even better. At 212SKIN, an additional goal is to curate more sunscreens in 2019, in addition to one of our favorites – Cerave Daily Sunblock SPF 50. You will not believe what will make you Thanksgiving better. How to make your skin glowing trough Thanksgiving. It’s a time for indulgence and we say “Go ahead, indulge!” We’re going to tell you how to do it without compromising your complexion. Besides being a wonderful source of protein that gives your body the amino acid building blocks it needs for strength and repair, turkey also contains an array of energizing B vitamins, especially B3, also known as niacin. Niacin converts to niacinamide in the body and this vitamin can help to rev up your skin’s cellular function as well as help cells retain moisture. In this way, niacin can contribute to a reduction in fine lines and an increase in skin’s elasticity and springiness. So carve away, this centerpiece to the Thanksgiving meal is also a healthful choice for your skin and overall health. In fact, Kate Ryan Skincare features niacinamide in several of our products because we’re so impressed by its anti-aging power. Find products containing niacinamide here. Perhaps not everyone’s favorite dish of the day as a child, we can certainly admit as adults that green beans are one of the best beauty boosters in your Thanksgiving meal. This legume is an excellent source of fiber, which is a handy pairing in a heavy meal. A bit of fiber is important for digestive health and this alone can keep skin clearer and healthier, but it also plays a role in helping you to remove water-soluble toxins from the body. This is critical for keeping skin radiant and glowing. Green beans are also rich in carotenoids like lutein, zeaxanthin, beta-carotene, and lycopene, all of which act as antioxidants to protect our skin from the aging effects of oxidative stress. Thanksgiving might be the only time of year that a bowl of cranberries makes its way onto the table as an essential element of a meal. These tart little ruby red jewels pack a serious punch of anti-inflammatory phytonutrients called anthocyanins and flavonoids. Controlling inflammation in the body and the skin is one of the most important strategies in preventing premature signs of aging. Cranberries are also an excellent source of collagen-protective vitamin C. Keep in mind though, cooking the cranberries to a palatable point does significantly diminish their level of vitamin C since it’s so sensitive to heat. Nonetheless, even trace amounts of vitamin C in combination with the anthocyanins that give cranberries their beautiful red color amount to powerful protection of collagen and elastin in our skin to keep it firmer and more resilient. We suggest a homemade cranberry sauce using less sugar since the canned jellies you’ll find at the market won’t carry the same beauty benefits. Yes, you read that correctly. Even your pie has its saving graces. Your typical pumpkin pie has plenty of sugar in it, but it’s not all bad. You can’t make a pumpkin pie without lots of cinnamon and studies have indicated that cinnamon may have the ability to control blood sugar spikes and regulate insulin thereby keeping inflammation under control as well. This might just keep all that sugar from causing a higher degree of inflammation-induced wrinkles or breakouts. More than just adding the perfect flavor to your pumpkin pie, pie spices like cinnamon provide major antioxidant protection. And let’s not forget that pumpkin itself is a nice source of beta-carotene which fights free radicals and can be converted by the body to anti-aging vitamin A. Speaking of vitamin A, sweet potatoes are one of the plant world’s best sources of provitamin A in the form of beta-carotene. The abundance of this carotenoid and other antioxidants along with the soluble fiber of sweet potatoes allows for their natural sugars to be absorbed at a rate that minimizes spikes in blood sugar. 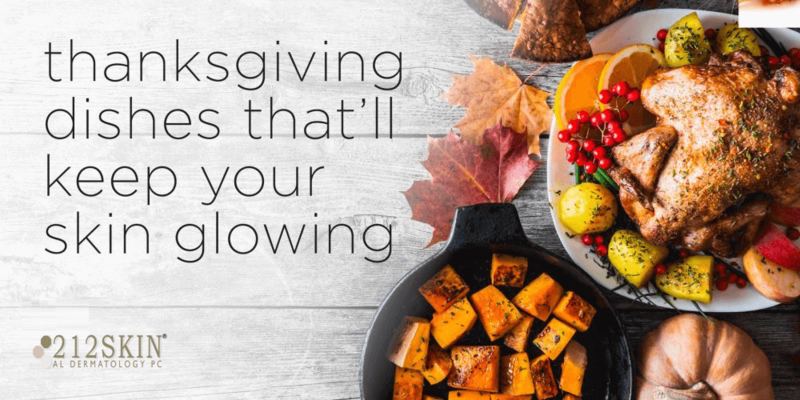 Between your sweet potatoes and your pumpkin pie, you’re getting a hefty dose of provitamin A that can keep your skin plump and glowing when these foods are prepared without excessive amounts of sugar. Clear, perfect, glowy skin is pretty much a magical unicorn we’ve been chasing since we hit puberty. We love to believe it exists, but for most of us it’s a myth that only exists in fairy tales. And, honestly, the internet doesn’t help much. There are so many supposedly “natural” DIYs floating around the World Wide Web, it’s hard to tell what treatments and tips are real—and what’s a bunch of BS. 6. If you’re prone to hormonal acne, try to avoid spot treating and instead, use a salicylic acid cleanser over your entire face. 5. Unfortunately, caffeine can trigger acne, so cutting back on your coffee intake (especially if you add tons of sugar) will help to clear things up. 4. Look for non-comedogenic makeup and moisturizer to avoid breakouts. 3. Lowering your alcohol intake will also help to clear skin, as drinking alcohol (especially mixed drinks) is the same as drinking sugar. 2. If you’re taking a hot shower, try not to linger. The heat can dry out your skin, leaving it dehydrated and flaky. 1. After you’ve tried every tip and trick out there, if your skin still isn’t clear, make an appointment with the dermatologist for a more personalized plan of attack. 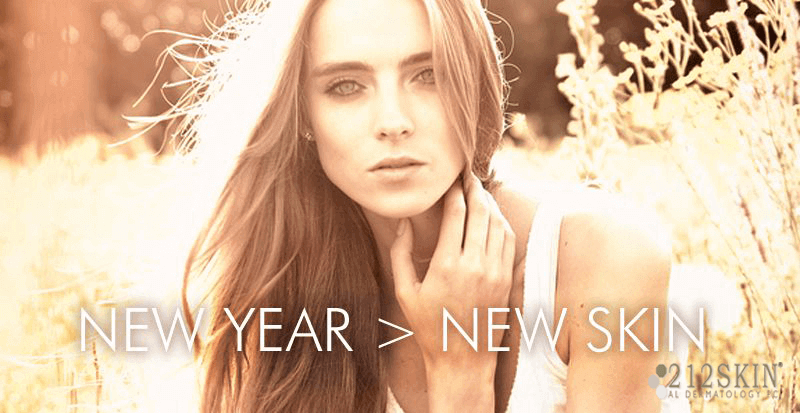 At 212SKIN we have set out to revolutionize the world of non-invasive treatments. Our lead Dermatologist Dr Avshalumova has developed a range of highly effective, yet deeply relaxing treatments for you, which will not only greatly improve the appearance of your skin, but also support your long-term skin health. Please find below details about our core treatments. All of our non-invasive treatments are completely bespoke however, and tailored to your skin’s individual needs on the day. Also – don’t worry, if you can’t decide, which treatment might be best for you. Your therapist will assess your skin on the day and advise accordingly. 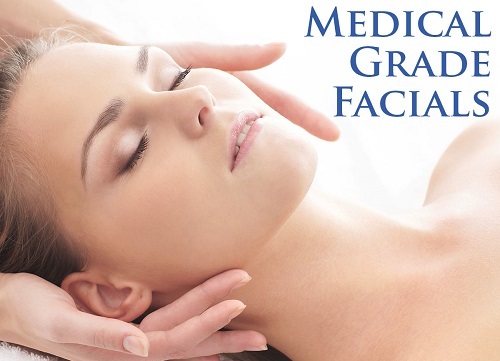 Our non-invasive treatments are performed by specially trained Aestheticians. All of our Medical Aestheticians benefit from rigorous training alongside our Dermatologists, in addition to completing their Beauty Therapy degrees. They have a wealth of expertise in obtaining and maintaining youthful, healthy-looking skin and are also trained to recognise troubled skin and work with our Dermatologists to treat it. 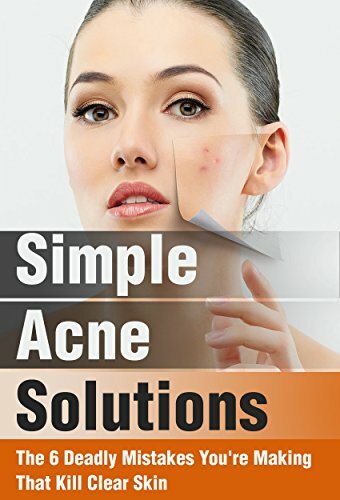 Acne is a very common skin condition. It is estimated to affect 80% of 11 to 30 year olds and, while the aim is to treat the condition before the skin becomes too damaged, this is not always possible. As such, the after effects of acne can be as damaging as the condition itself. Acne scarring can be a result of any type and any severity of acne. Picking and squeezing spots can also damage surrounding skin and increase the risk of scarring. Acne scarring can be distressing for patients, leading to lack of self-confidence and even depression. Here at 212SKIN® Dermatology we offer a number of treatments to aid patients in improving their scars and becoming more confident in their appearance. One of them is Microneedling. Microneedling refers to both the Dermaroller treatment and the Dermapen; it is also known as collagen induction therapy. 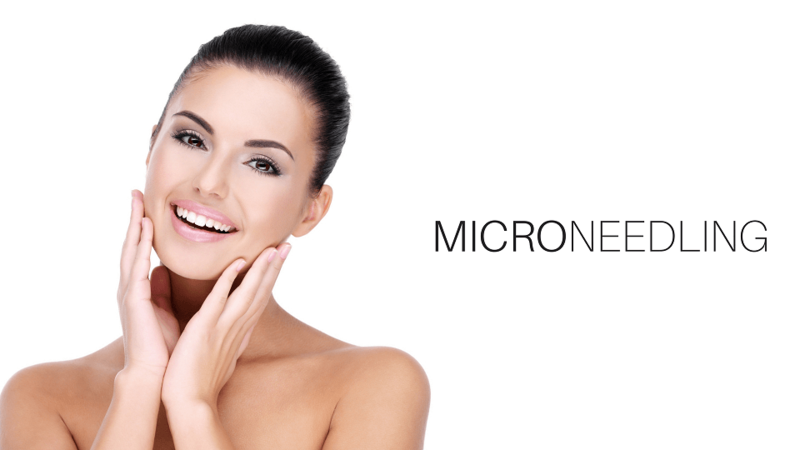 Microneedling is a minimally invasive procedure used to rejuvenate the skin. It is most commonly used for the reduction of scars such as acne scarring, hypertrophic scars and surgical scars. It is also used for fading stretch marks, reducing fine lines and tightening sagging skin. The Dermaroller is a mechanical device that contains a wheel of microneedles. The Dermaroller is rolled over the skin in order to create a controlled area of trauma in the skin’s top layer. As each microneedle punctures the skin a small channel is formed. This stimulates the production of collagen and elastin in the deeper layers of skin. The microtrauma also leads to the formation of new capillaries (small blood vessels) reducing the appearance of scars and improving the texture of the skin. The Dermapen is similar in that it uses microneedles to create a controlled area of trauma but instead of a mechanical device it is a smaller electronic device that resembles a pen. The Dermapen uses the same principal as the Dermaroller but instead of the rolling action, the Dermapen is moved backwards and forwards across the skin as the microneedles automatically go in and out of the device around 1000 times a minute. After the procedure your skin may be slightly red. This can last up to 4 days depending on the depth and intensity of the treatment you have. Like with microdermabrasion, the top, dead layer of skin is removed and so the skin is temporarily much better at absorbing topical lotions. Any product applied to the skin during or immediately after a Dermaroller or Dermapen treatment is very easily absorbed into the skin, rendering it much more effective than with a traditional topical application. - DO shave in between treatments. This is the best way to quickly remove hair without damaging the root. Your beauty therapist will shave the area before applying the laser to your skin, anyway, as any visible hair will only get singed otherwise! - DO avoid sun exposure - and lay off the fake tan, too. Lasers are more compatible with paler skin-types, so, even though a tan looks great, it'll minimise the efficiency of the laser, preventing the energy from making its way to the root of the hair. - DON'T wax, epilate or pluck your hair in between treatments as it removes the hair from the root. Lasers work because they are attracted to the hair's pigment underneath the skin and if it is completely gone, there won't be anything there for the laser to zap. If this is the case, you might have to wait up to another four weeks for the root to re-form until you can be treated again. 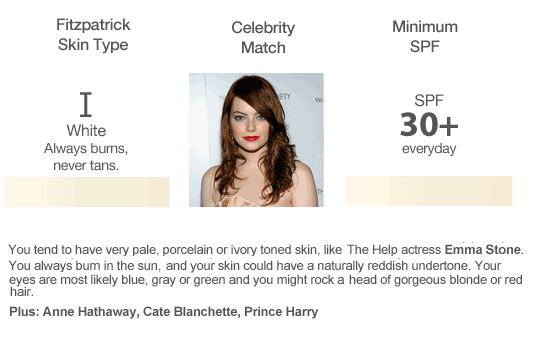 - DO wear a high factor SPF. After treatments, skin becomes more sensitive to UV rays, so always slather it in a high factor sunscreen to protect it from things like hyperpigmentation and sensitivity. - DO exfoliate the area gently as it encourages the dead roots to fall out after every treatment and will make your skin look less bumpy and shadowy. And if you prefer to DIY, here are the very best at-home laser hair removal systems on the market, approved by ELLE of course. Fall marks the start of the Aesthetic "peel season"
As we are transitioning to cooler weather, it’s a good time to think “aesthetic chemical peel”. Fall and winter are optimal seasons to get a peel treatment as we tend to stay indoor more, lowering the level of UV exposure from the sun while our skin recovers. Getting into a yearly aesthetic peel routine is our favorite way to achieve that no makeup glow. While the benefits of exfoliation speak for themselves, getting a professional grade exfoliation treatment, such as an aesthetic peel, is something you can feel and see immediately. Many people get apprehensive to these two words, “chemical peel”, because they have seen pictures of peels gone wrong. First things first, know that aesthetic chemical peels discussed here are much more superficial and safe than medical chemical peels used to treat medical conditions. Second, try to stay off the internet researching photos because there are so many different acids aestheticians use depending on your concerns and skin needs. At 212SKIN, our aestheticians like to take a conservative approach, but do propose more aggressive peels for those wanting to crank it up a notch. In addition, they work with our physicians to give you the best results with little to no downtime. We have a ton of skin cells, roughly 19 million skin cells in every inch of our body. While the body continuously replace old skin cells with new ones, the top 18 to 23 layers of our skin are made of dead cells. As we get older, our cell turnover starts to slow down and it can be harder for us to shed the buildup. This is why our skin doesn’t have the radiance we did in our glory twenties. Using a gentle, at-home exfoliator is something we encourage our patients to use daily or a few times a week. But to go deeper, remove dead skin cell efficiently, and achieve a softer, more radiant skin, we recommend aesthetic chemical peels. One of the most popular peels at SkinCare Aesthetic uses glycolic acid, a sugar derivative. It is safe for all skin types, including sensitive skin and Rosacea-prone skin. Meredith encourages her patients to get into a 4 to 6 week aesthetic peel cycle to help with multiple concerns. Whether you are working on teenage acne, adult acne, texture irregularities, or hyperpigmentation, start with an aesthetic glycolic acid peel and then work your way to more aggressive peels if needed. For those of you who have experienced aesthetic chemical peels before, we offer Jessner peels, a medium depth chemical peel that penetrates deeper into the skin for greater exfoliation and brightening.